The study combined the results from many (112) smaller randomised controlled trials, making it a meta-analysis, which is the highest grade of evidence (think top of the class!). 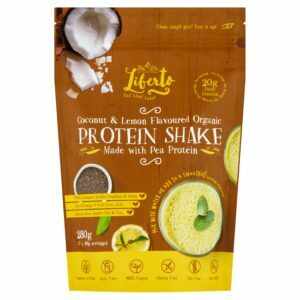 Swapping animal for plant protein significantly reduced three different measurements of blood lipids – LDL Cholesterol (bad cholesterol), non HDL Cholesterol and a lipoprotein called Apo-B. These have all been associated with higher risk of cardiovascular (heart) disease. The researchers calculated that this level of reduction of LDL cholesterol equates to a 4% reduction in risk of major cardiovascular events. The displacement of saturated fatty acids and cholesterol, so the more plant protein we eat, the less saturated fat we eat from other sources such as red meat. 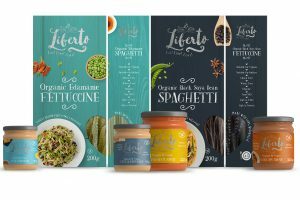 Foods rich in plant protein also contain soluble fibre (such as beans), and healthy fats (such as nuts) that lower cholesterol. 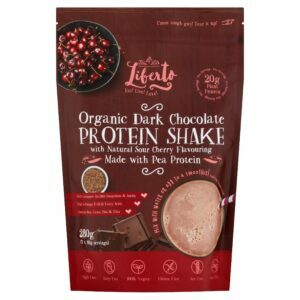 Plant protein itself lowers cholesterol (they found no difference in effect of whole plant protein foods, and protein isolates (so, for example, soy beans versus a soy protein powder). Plant protein is higher in the amino acid argenine, which in animal models has been shown to reduce bad cholesterol. The studies most commonly substituted 30g of protein, so aim to swap animal protein sources for 30g plant protein each day. This equates to around two servings a day, so swap meat, eggs or cow’s milk for soya, peas, beans, nuts and legumes. Most of the trials used soy protein as the plant protein, but other plant proteins studied included legumes, pulses, pea and nuts so include a variety in your diet to make it more interesting! 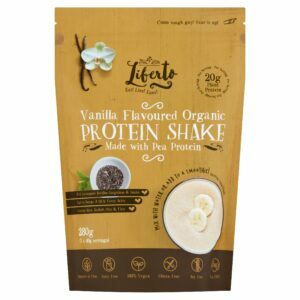 The studies included a mix of whole proteins (as you would find them in whole foods) and isolates (such as plant protein powders) – so alongside whole foods you could try a plant protein powder or shake. The study included both people with high cholesterol and normal cholesterol levels – and found it lowered levels in both groups so you don’t have to have high cholesterol to reap the benefits! While the impact of this dietary change on blood cholesterol levels was a small percentage, to achieve a greater reduction you can include this change as part of the portfolio diet – which makes other dietary changes to maximise the reduction in bad cholesterol levels (by up to 30%!). For more information on the portfolio diet check out our blog post here. 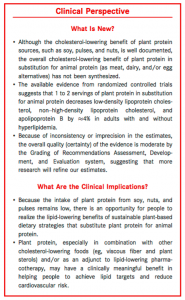 Effect of Plant Protein on Blood Lipids: A Systematic Review and Meta-Analysis of Randomized Controlled Trials. Siying S. Li, HBSc; Sonia Blanco Mejia, MD, MSc; Lyubov Lytvyn, MSc; Sarah E. Stewart, MSc, Effie Viguiliouk, MSc; Vanessa Ha, MSc; Russell J. de Souza, ScD, RD; Lawrence A. Leiter, MD; Cyril W. C. Kendall, PhD; David J. A. Jenkins, MD, PhD, DSc; John L. Sievenpiper, MD, PhD. Journal of the American Heart Association.